Although Berkeley Township was once made up predominantly of those residing at Holiday City, the Township has grown to the 6th most populated community in Ocean County. There is very little doubt that its popularity comes from its shoreline along both the Atlantic Ocean and Barnegat Bay, including from the section of the town known as Bayville. At Bronzino Law Firm LLC, we understand that entering any municipal court proceeding isn’t only facing the legal process. We understand that the issues in municipal court are often deeply personal and can be stressful for individuals whether they are traffic or criminal related. Our team works closely with all our clients throughout the legal process to deliver a highly personalized defense and effective legal solutions. We are ready to aggressively defend you as well as your rights in court. Berkeley Township Municipal Court is located at 631 Pinewald-Keswick Road, Bayville New Jersey 08721. You can contact the court regarding a payment or violation at 732-240-6661 during regular business hours. The Court Administrator is Aileen Alonzo, CMCA. First appearances referred to as an arraignment, hearings, trials and other proceedings of Berkeley Municipal Court are conducted on the second, third or fourth Wednesday of the Month at 8:00 a.m. and 2:00 p.m. The Judge is James J. Gluck and the Prosecutor is Joseph Grisanti. If arrested on criminal charges in Berkeley Township, the offense you are facing will fall into one of two categories. It is always recommended that you consult an attorney to gain a full understanding of an offense. Disorderly Persons Offense. The grade of criminal offense heard in Berkeley Municipal Court are referred to as disorderly persons offenses. Charges that fall within this category are similar to a misdemeanor. However, they do result in a record that can be revealed in a background check. In addition they may carry penalties that include up to six (6) months jail time. These charges include possession of drug paraphernalia, simple assault, obstructing the administration of law, disorderly conduct and harassment. Indictable Crime of the First, Second, Third or Fourth Degree. When a person is charged in Berkeley with a felony, this is called an indictable charge. These charges will fall within one of four grades; first degree crime, second degree crime, third degree crime or fourth degree crime. They all may result in potential penalties involving years in state prison and thousands of dollars in fines. 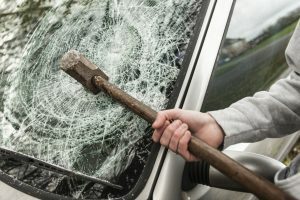 Given that a significant stretch of the Garden State Parkway runs through Berkeley, as well as other major roadways, there are a large amount of motor vehicle summonses heard in the municipal court. Approximately 3,723 tickets for moving violations were filed in the town over the most recent 10 month period reported which ended April 2015. These traffic violations included not only speeding but also more serious offenses like driving with a suspended licence, leaving the scene of an accident, operating a motor vehicle without insurance and possession of controlled or dangerous substances in a motor vehicle. Any court proceeding can be very intimidating for most people. Especially if you are facing serous traffic or criminal charges. Bronzino Law Firm LLC understands that the issues in municipal court can be stressful. That is why our attorneys work closely with our clients throughout the legal process to deliver personalized and very effective legal solutions. We are the partner you need when facing any municipal court proceeding in Berkeley Township. 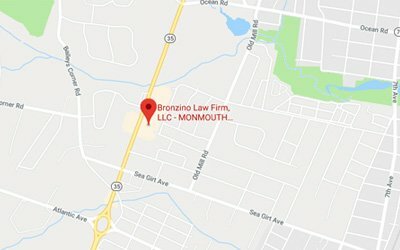 Bronzino Law Firm LLC will work to protect your rights across Monmouth and Ocean Cunties. 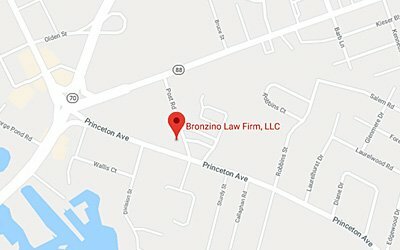 For additional information and the answers to your pressing questions, contact the Bronzio Law Firm, LLC, serving Ocean and Monmouth counties. Call at 732-812-3102 or contact us online to schedule a free initial consultation with an attorney to retain the experienced representation that you need.